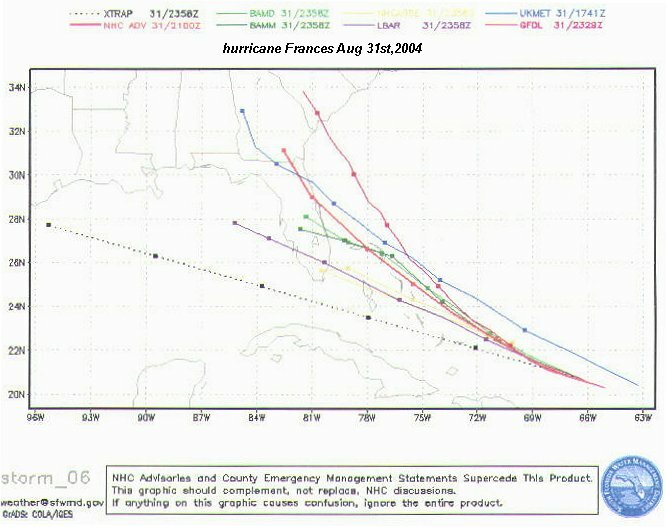 (br)=brush (ts)=Tropical Storm (bd)=Back Door,meaning coming from over land from opposite coast.Not all names are noted,also storms before 1950 were not named.Not every stat on every storm description is given(since 1871). 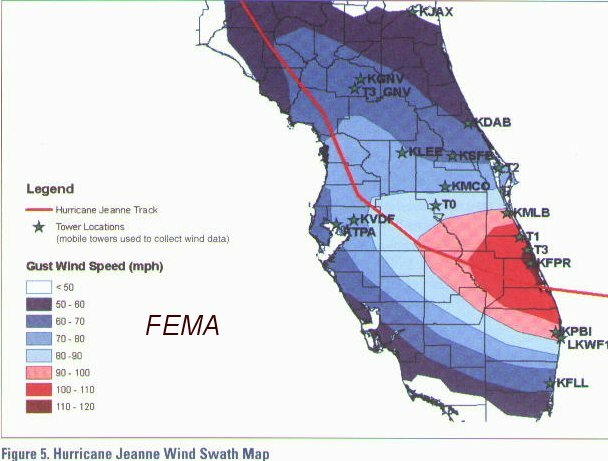 2017 Sept 10th Hurricane Irma passes 82 miles to the west while moving north with 90mph winds. 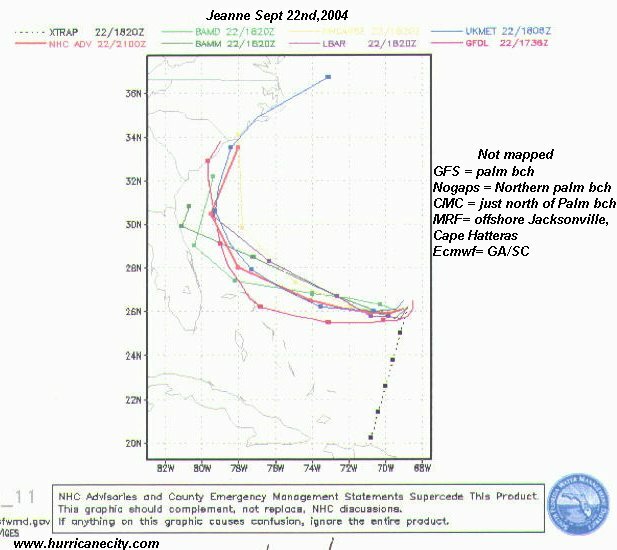 1871 Aug 16th 115mph from the east, developed East of Bahamas. 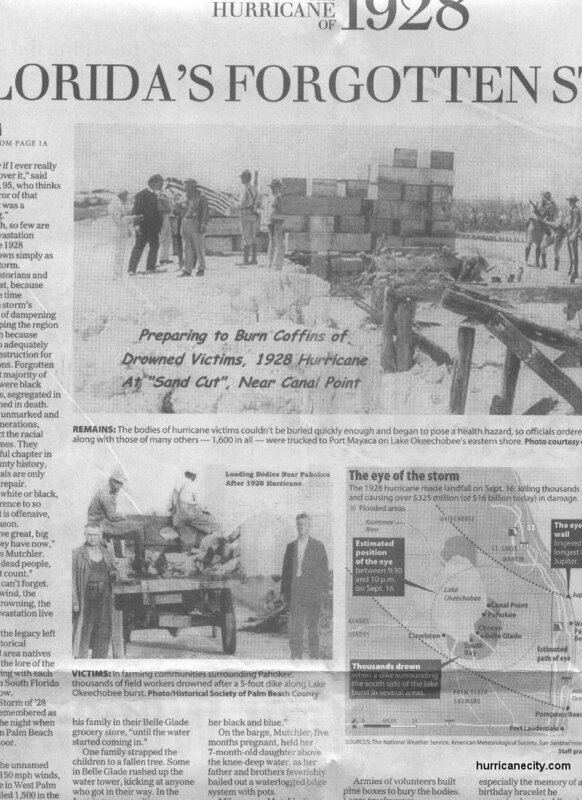 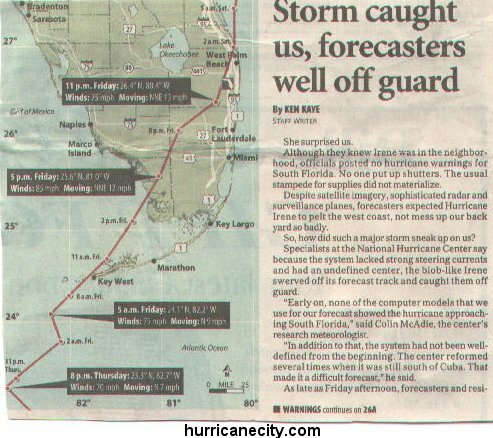 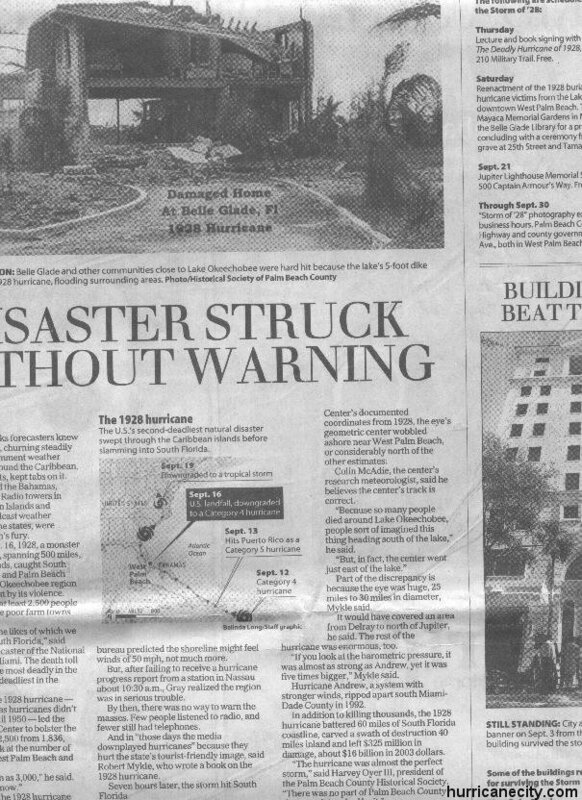 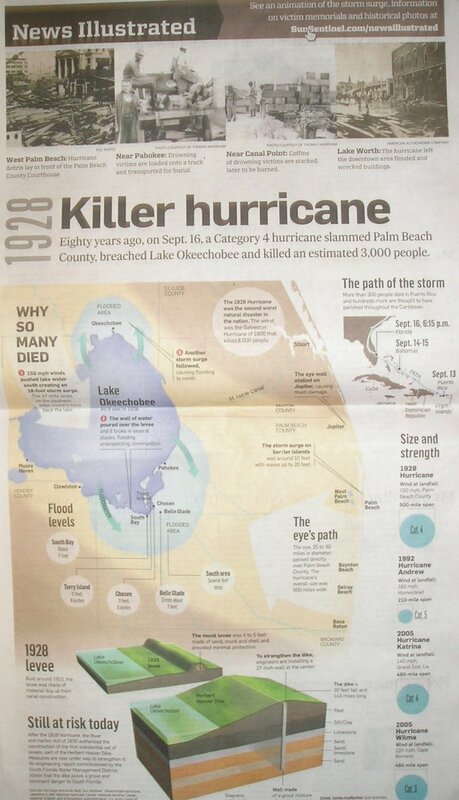 1928 Sept 17th 130mph winds from the ESE.Newspaper article#1 | #2 | #3 | #4 | what happened? 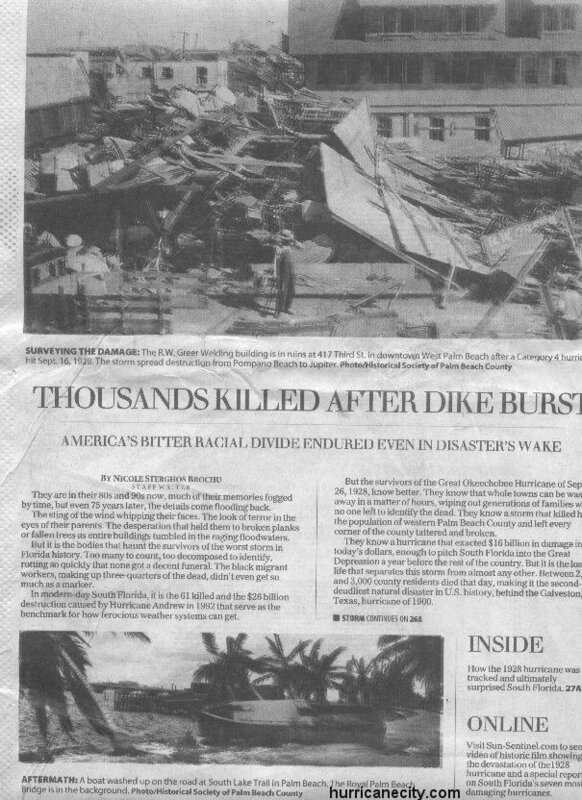 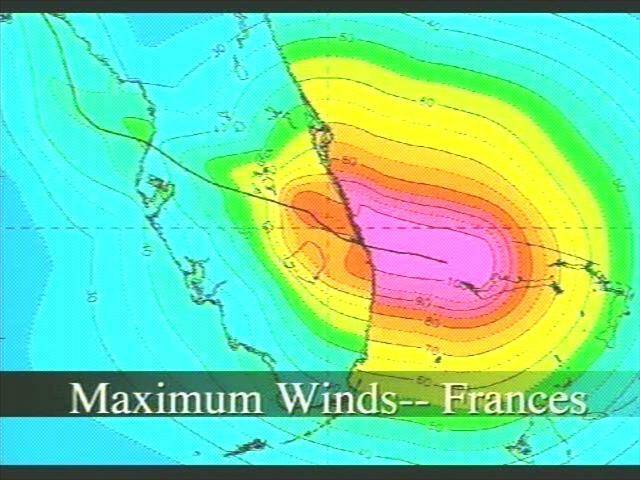 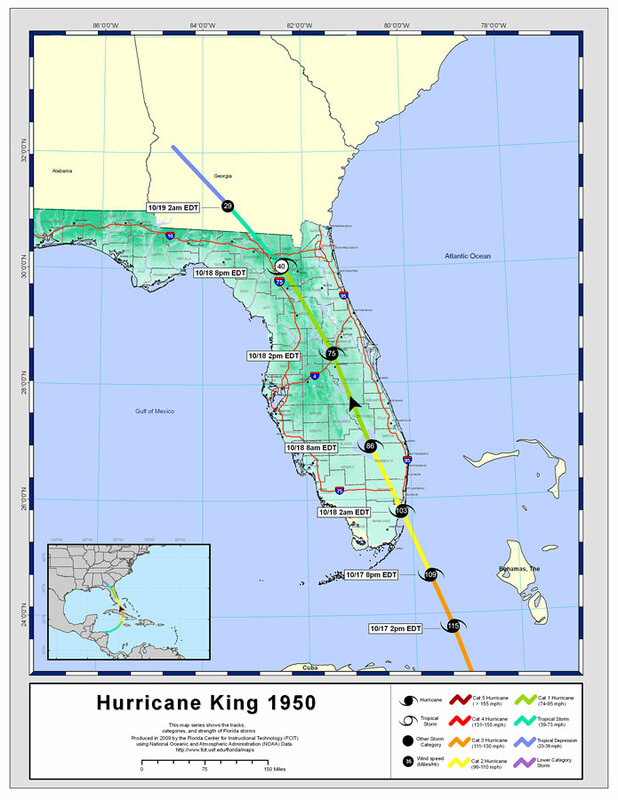 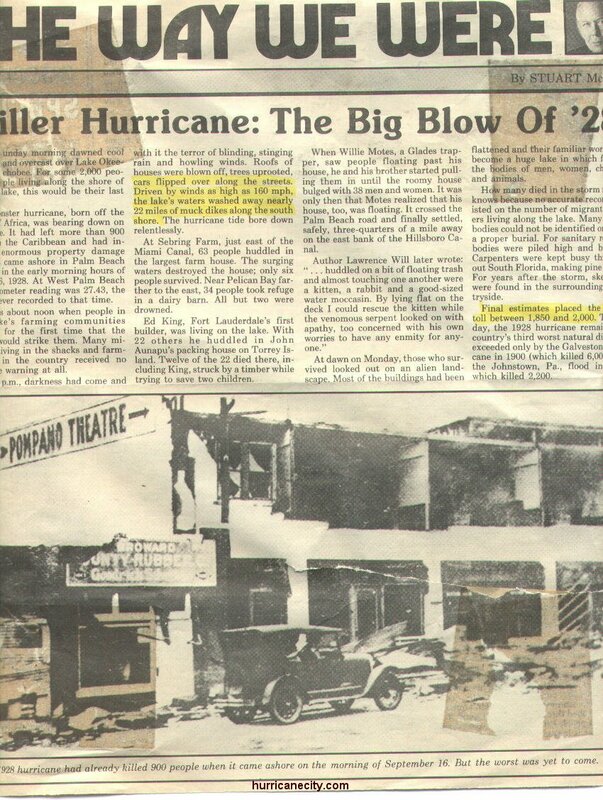 1933 a hurricane from ESE sept 4th , 125mph heavy damage 75% of roofs blown off population only 5,100 at the time 2 killed citrus loss nearly complete. 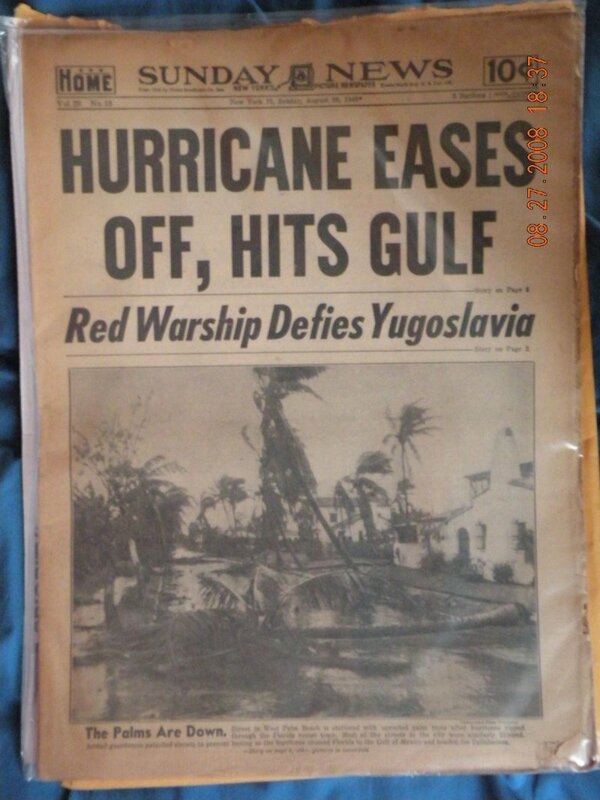 1939 Aug 11th a cat one from the ESE 80mph.